Want tosave 8,45 kn on this order and become Loyalty program member? 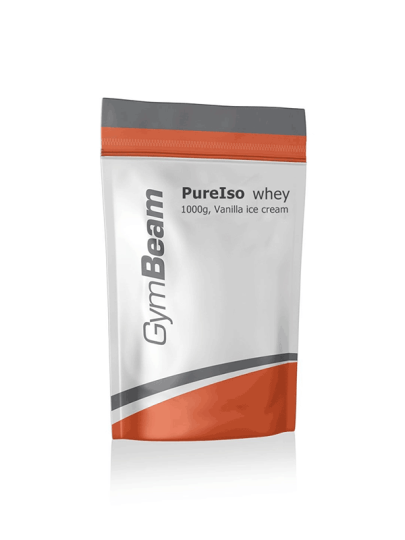 Pure IsoWhey Protein is a pure whey isolate with up to 86% protein with a minimum amount of fat and carbohydrates, with no sugar, trans fatty acids and lactose. So, this product is suitable for people with lactose intolerance, people who want a gluten-free diet or people who want low carbohydrate diets. One meter (25g) contains up to 21.5g of high biological value protein, which is easily digestible and rich in BCAA amino acids and glutamine. No lactose dehydrated whey protein, BCAA (L-leucine, L-valine and L-isoleucine), vegetable oils [Central Thyroid Chalclycerides (MCT), Coconut Oil), Emulsifier (Carboxymethylcellulose), Sweetener (Sucralose) , colors (beta carotene - carrot extract).